A pretty blend of pinks and creams - very feminine! 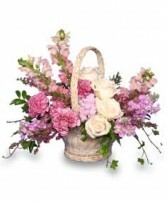 Order this beautiful lavendar bouquet for your Mom for Mothers Day! 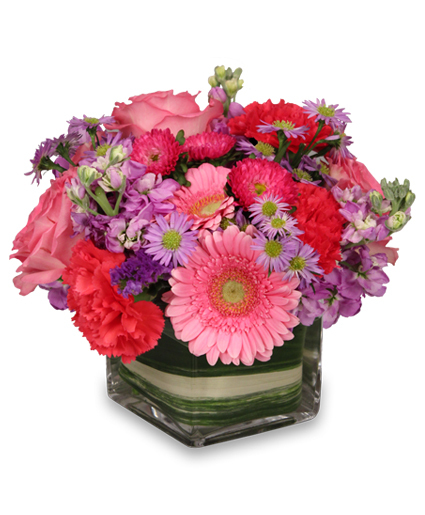 We also have colorful hanging baskets, blooming plants, and green plants, as well as a wide variety of gifts that we can deliver to your Mom. 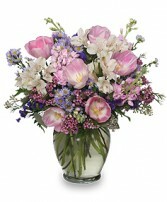 We will be delivering Thursday, Friday and Saturday for Mothers Day. Happy Mothers Day to all you moms!